At the Promotional Bag Store, we promise to provide you with with superior customer service, as well as the best value for your money. We put our customers first and place great value on our relationships. We commit to treat you with respect and fairness and strive to ensure that your experience with us is professional and reliable. We prefer to receive art in an Adobe Illustrator eps (vector) file in either CMYK or RGB (all fonts/typefaces outlined), but will accept electronic art in eps, pdf, tiff, or jpeg files in a PC format. Please keep in mind that artwork with high color saturation print will provide a better quality imprint. All art with halftones, screens, fades or blends are subject to our review and approval. We make it easy ! When you go through the online ordering process you will be prompted to upload your logo before checking out. We also have a NOTES area where you can provide us with additional information about your art if needed. Alternatively, you can email your logo to us before you order and request a FREE PROOF. Be sure to tell us which product you would like a proof for, and let us know if you need to make changes or add to the art file that you are sending. 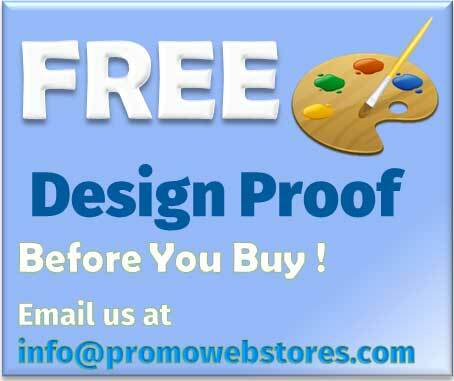 Our email address is info@promowebstores.com. E-mail proofs are provided for you free of charge, and must be approved before we will begin production of your order. Once the artwork is complete, we will email a proof for authorization. Simply reply to the emailed proof and let us know that you approve. 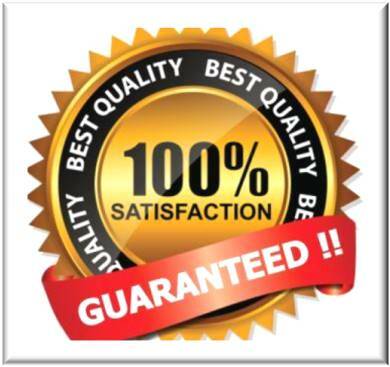 We request that proof approval be made within 24 hours of receipt to maintain your ship date. Normal production times are noted in the Description of each product. 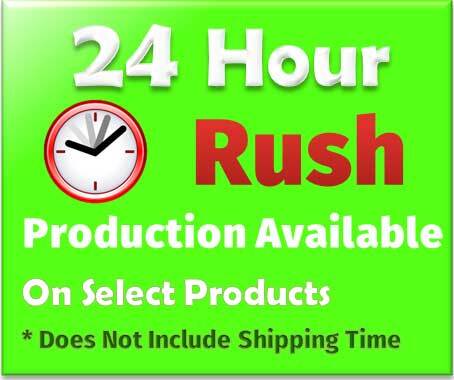 Rush production times are available on select products, and time frames and pricing (if applicable) are indicated on each item's product page. Special art submission and proofing time requirements may apply. Should you have any problem with your order, please contact customer service at 1-800-974-3611 within 15 days of receipt. We advise opening your merchandise as soon as it is received for review, even if you do not intend to use it right away. Should you find a defective product, we will issue a UPS call tag to you immediately.